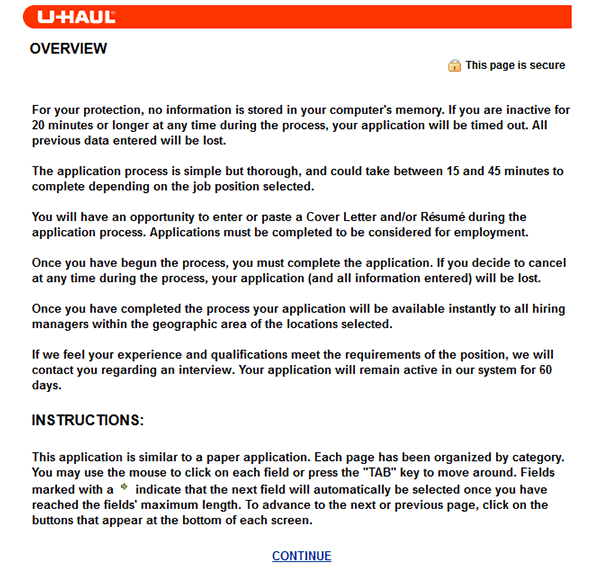 The (online) U-Haul job application is available on the company’s career opportunities website. The guide posted below contains instructions regarding how to search for current openings, register a new account, and fill out/submit an online application. Several different types of careers can be applied for including contact center, corporate, internal, IT, and “moonlighter” positions. About the Company: U-Haul is an American company that provides moving and rental services/equipment rentals. The company is headquartered out of Phoenix, Arizona and was founded in 1945. 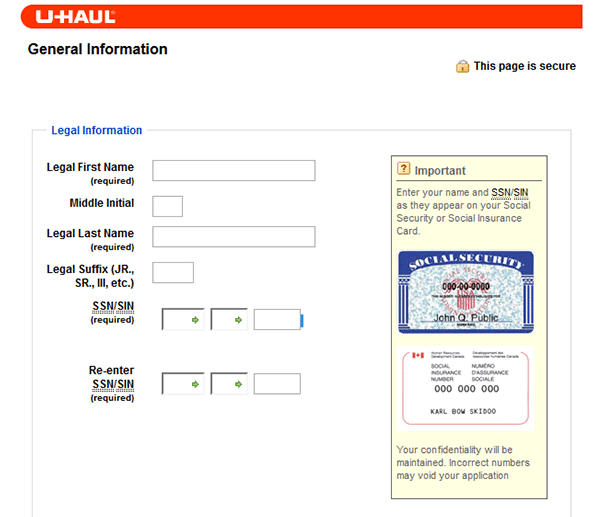 U-haul employs (approximately) more than 18,000 people. 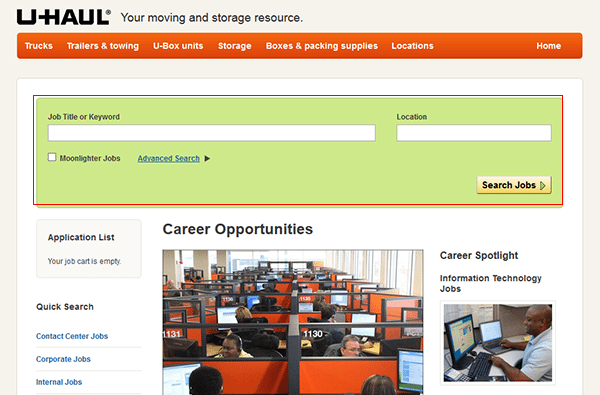 Step 1 – Use this link to have the company’s main careers page load in a separate browser window/tab. Step 2 – The main search function (outlined in red in the below screenshot) can be used to search the complete listing of current job opportunities. Enter a job title or keyword into the first input field and then enter a location into the second input field. 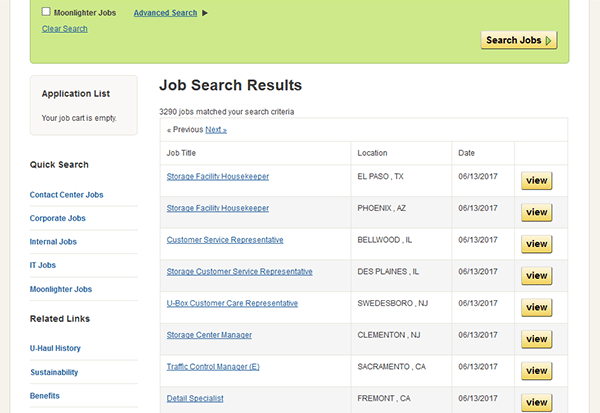 Click the “Search Jobs” button to load the results. Step 3 – Press the “View” button (of the specific job that you want to apply for) to load the next step of the process. 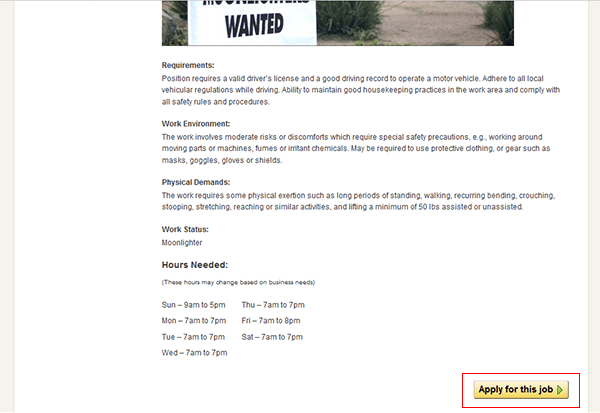 Step 4 – Review the job description, and then click the button as outlined below. Step 5 – Read the instructions and then press the “Continue” link. Step 6 – Select “Yes” or “No” and then press the “Continue” button. Step 8 – Press the “Next” button to load the next step/section of the form. Complete each remaining section of the form by submitting the required details.